The High Plains Heritage Foundation is again this year making grants in an effort to support the various charitable needs and opportunities in the region. Grants of up to $500 each will be made based on the applications received and for the purpose or cause supported. 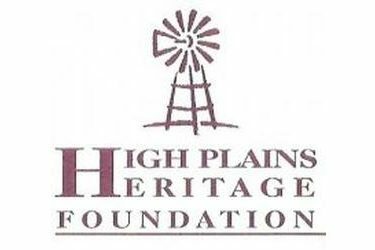 The High Plains Heritage Foundation (HPHF) is a community foundation serving southwest Kansas and the Panhandle region. HPHF is a tax-exempt, publicly supported, institution with a long-term goal of building and administering permanent funds to carry out charitable interests for the benefit of the area residents. The Heritage foundation administers not only funds created by donors to aid in their own directed charitable giving, but also administers funds for making grants to address area needs and causes. �? ?It is this second goal that is the basis of the annual year-end grant program. It is the earnings from the endowed funds and from GivingTuesday donations that provide the funds for the year-end grants,�?� said Smith. In the past HPHF has assisted in such programs as Crossroads Center, park playground equipment, Bright Futures, speech therapy equipment, and Communities in Schools. No specific form is necessary for making the grant application. The application must only be in writing, for a non-profit purpose, and less than 300 words (1 page) describing the problem, need, use, benefit, or purpose to be addressed with the funds requested. The application shall be signed by the applicant or nominator and provide contact or follow up information. All applications must be submitted with post mark or delivery by Saturday December 12, 2015. The application should be submitted to the HPH Foundation, PO Box 1278, Liberal, KS 67905-1278. Applications may also be sent to [email protected] Review of applications and final selection in both number and amount will be by the HPHFndn board of directors. Selection and distributions will be made before Christmas.